Wine reviews, industry news and comment. 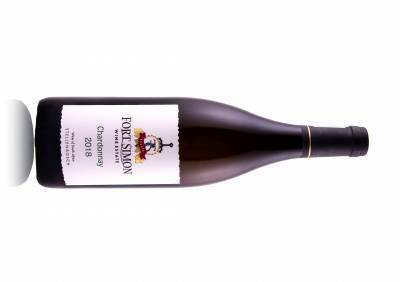 Just as Robertson Winery has long upheld a reputation for honest, consistent, value-for-money wines, so does it maintain a fine tradition of top quality and well-balanced complexity for its flagship pair, the Constitution Road Range. Add to that flavourful, well-priced enjoyment and you have a description that applies to both the chardonnay and the shiraz. The maiden shiraz appeared in 2004, and was joined by the chardonnay some years later. Today fans eagerly await new releases which are not made annually, but when speciality winemaker Jacques Roux finds the right grapes, produces wine to his demanding standard and releases them when they are market-ready. The latest pair have been adorned with a new label: designer Anthony Lane illustrates four pillars of the SA constitution – liberty, governance, justice and equality and provenance. Robertson Winery applies these as freedom for winemakers to innovate, knowledge shared between generations of winemakers, balance and consistency through understanding of cultivars and vineyards and a sense of place, through creating wines that express their origin. The 2016 chardonnay was produced from grapes at the winery’s Wandsbeck farm. Natural fermentation took place in new and second- fill French oak barrels, left on primary lees and underwent malolactic fermentation before aging for 18 months in barrel. This is a classic chard, presenting aromas of citrus, toast and vanilla, followed by layers of fruit and butterscotch on the palate witha hint of cream and welcome freshness. It has already collected accolades from the 2018 Chardonnay du Monde, and local competitions and sells for around R150. The 2015 shiraz is a good example of one of the finest vintages of the new century, presenting a vibrant mix of dark fruit, warm spices and a hint of chocolate. Grapes were sourced from Robertson’s Wolfkloof farm, malolactic fermentation took place in new 225 and 300 litre French oak where it matured for three years. It combines opulent complexity with accessibility, and is sure to continue offering pleasure for several years. Alcohol levels are on the high side for modern trends but that has not affected its attracting local and international accolades and four and half stars from Platter. It sells for around R220. Tasting the wines of young and adventurous men and women who go solo is always a pleasure: No matter how difficult the marketplace, there are always those willing to take the chance and demonstrate their talent in creating a range of wines for the curious consumer. 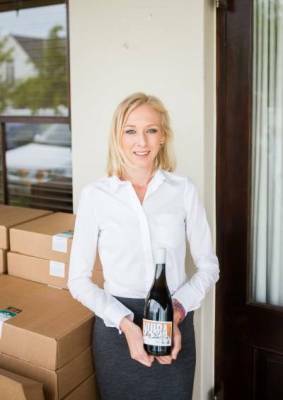 Suzanne Coetzee is one such entrepreneur: Having gained experience at Clos Malverne in Stellenbosch, she branched out on her own with a boutique range of wines called Nuiba, which is the name of the Namibian farm on which she grew up. Her love of her family home is further expressed in the names given to the four wines, namely First, Second, Third and Fourth Posts, reflecting the farm’s cattle drinking stations. The 2018 quartet includes one white and a rosé, and these were the ones I asked to taste, as best suited to high summer temperatures. The First Post is a limited edition Semillon/ Sauvignon Blanc blend, with the back label informing me that the wine is unfiltered and is wine of origin Stellenbosch. As the press release and the tasting notes on her website refer to her 2016 vintage, I had no way of knowing if the new release is also a 60/40 blend but well could be: it’s also pale yellow, offers subtle fruity aromas leading to flavours of citrus and melon on the palate with a little grassiness in the background. There’s both purity and zest discernible, balanced by a hint of cream adding up to a very enjoyable wine that differs from the usual blends where the sauvignon dominates. It sells online for R190. The Fourth Post is a 2018 wooded rosé where Semillon has taken on salmon hues thanks to a little Malbec. Notes apply to the 2017 vintage which is also a product of Stellenbosch grapes and the wine matured in third-fill oak. The back label informs that the wine is unfiltered and alcohol levels held at 13,5%. It a is priced at R115 and is available only online, as it the rest of the range. The Third Post consists of a blend of Pinotage with Cabernet and Grenache. If it follows the specs of the 2016 vintage, (which is highly rated) the grapes were sourced from venerable Piekenierskloof vines, while the Second Post is a Shiraz, with the 2016 grapes coming from Paarl and Simonsberg. Neither of the reds were tasted. For more information, visit www.nuibawines.co.za. 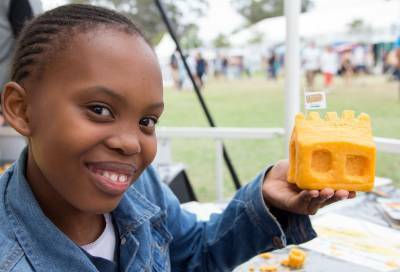 COMING OF AGE: DON'T MISS THE 18TH SA CHEESE FEST! 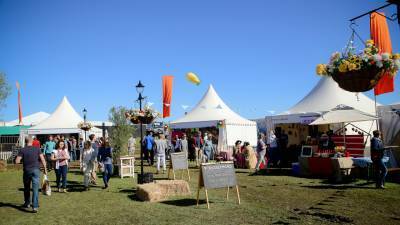 The South African Cheese Festival celebrates its 18th anniversary this year, taking place from Friday 26 - Sunday 28 April 2019 at Sandringham outside Stellenbosch. The Cheese Emporium: The heart of the Festival where you can taste and buy the largest variety of cheeses under one roof. The Italian Experience: A new addition created in collaboration with Food Lover's Market. Stroll through their piazza and experience Italian hospitality and gastronomy in abundance. 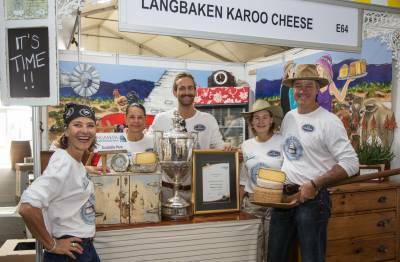 Taste it first: Many exhibitors utilise the SA Cheese Festival as a platform to launch new products and test the market . The Tasting Room: We marry cheese with wine, beer and every new trend. Listen and taste at no extra cost ... and experience interesting combinations presented by well-known foodies. ‘Raak ‘n bietjie rustig’ day: Friday, 26 April, a working day? Never! It's pay day after all – perfect for a leisurely day out. Watch out for ‘Raak ‘n bietjie rustig’ packages for groups and discover the festival at your own pace. Meet boutique cheese makers: Come and support entrepreneurs who, despite the drought, come from far and wide to introduce their unique handmade cheeses. Cape Made:: A fresh from the farm collection of alternative products such as olives, honey and rooibos to pick and choose ... with bargains directly from producers. The Cape Made Kitchen: Experience a taste of magic as chefs from the Private Hotel School pair cheese with bread and alternative products. 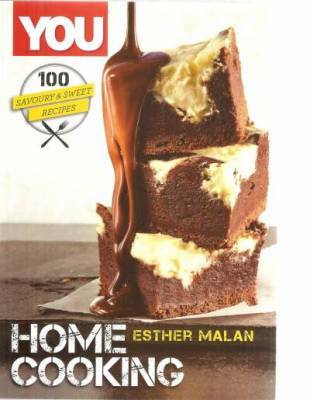 As a bonus there is a free recipe book to take home! Making memories: It just gets better year after year! The SA Cheese Festival is a popular place to celebrate birthdays. Boutique is king: Support boutique producers while discovering and appreciating new taste experiences – from wine and beer to gin with honey, almond, buchu, strawberry or chai! The Ladismith Cheese Carving Competition: A daily highlight in Blossom's Gazebo – enter for free at the festival (entries are limited). Prove your creativity, carve a cheese and win great prizes! The Music Gazebo: Kick up your heels to the rhythm of popular local artists. The Milk Factory: Visit the friendly cows and goats at the Milk Factory and show the little ones where cheese comes from. The Gourmet Lane: Popular food stalls serve delicious dishes – with even more cheese! The Kiddies Corner: Hours of fun and entertainment for the children in a safe environment while parents relax. #SundayFamilyFunDay: Enjoy a true #SundayFunday with your whole family whilst some of the country's best cheeses and other boutique products are just a few steps away. Be safe: The SA Cheese Festival promotes the responsible use of alcohol. Make use of shuttle services and taxis for peace of mind. Sandringham is located next to the N1, Stellenbosch turn-off (exit 39), between Cape Town and Paarl. Tickets cost R180 per person per day. 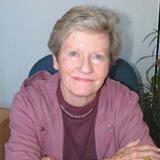 Senior citizens pay R120 and children between 2 and 13 years R20. Tickets are available at Computicket. No tickets will be sold at the gates. The Connoisseurs’ Experience costs R950 per person (only persons over 18 years old) and is available from Claudine Wagner at claudine@agriexpo.co.za. Discover more about the SA Cheese Festival's 18 year celebration at www.cheesefestival.co.za, or contact Agri-Expo at tel 021 975 4440 or admin@agriexpo.co. It’s not just the turreted fortress design of Fort Simon’s tasting centre that differs from the traditional Stellenbosch wine farm architecture, but also the fact that the Uys family-owned winery only started producing in 1997, making them one of the “newbies” in the Bottelary district. Their philosophy is to produce enjoyable well-made New World-style wines, and their 2018 Chardonnay is a good example of success in achieving this goal. Recently released, the estate is pleased that it attracted a score of 90 in the current Gilbert & Gaillard international sommelier contest, a challenge held in France for more than two decades. The wines are tasted blind and results featured in their wine guides - of which more than 50 editions have been published in four languages to date..
Winemaker Dirk Tredoux leans toward making “bold and luscious" wines. Using their best chardonnay berries he fermented them in oak then transferred the wine to new French oak where it matured for some 10 months before being bottled. Although it is apparent that the wine is wooded, it does not follow the pattern of over-wooded chardonnays common in the USA until recently. While the vanilla aroma is discernible on the nose as is the flavour on the palate it shares with wafts of citrus and melon. Flavours of citrus and butterscotch mingle on the palate, the wine is medium-bodied, fresh and uncomplicated, making an enjoyable al fresco aperitif and partnering poultry and seafood – both hot and salad creations – and creamy sauced pasta with flair. Alcohol levels are held at 14%. The chardonnay costs R132 at cellar door. What a pleasure to discover a “new” chenin, and one that is quite delicious and a tad different. 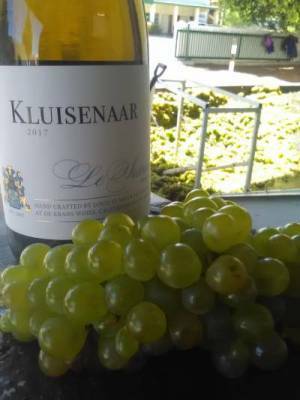 It’s crafted from grapes thriving in an unlikely area by a talented (and modest) cellarmaster in the heart of the Klein Karoo. Louis van der Riet, (le Sueur is his middle name) has been making port and other good wines for De Krans for many years. He has also long held an ambition to make his own wines – a dream that was realised in 2014 when he released his maiden vintage. Low alcohol levels of 12,5 % feature in this limited edition of 1 550 bottles, the wine offers stone fruit and melon flavours, a hint of toffee and vanilla discernible on the palate. Dry ,with enjoyable fresh acidity, all nicely balanced in a chenin of charm and intrigue. Available from the De Krans cellar in Callitzdorp for R175. Looking at his website, I see there’s a highly rated pinotage/cinsaut blend in stock and a merlot on the way. Book at De Krans for tastings and sales.